BOOK CITY Begins to Stock Seventh Journey! Toronto‘s Leading Independent Book Store chain has just begun to stock copies of Seventh Journey. Starting with 501 Bloor Street West, with remaining locations picking it up a couple of weeks. I’m very excited, as soon all locations will be stocking copies of Seventh Journey, given the book much wider exposure. I’d like to thank Book City for their support, and commitment to local authors! “In 1976 Book City opened its doors to the people of Toronto. Situated in the Annex, one of Toronto’s great neighbourhoods, it has been treating its customers to an eclectic range of books ever since. Toronto bibliophiles must have liked us, or our books at any rate, because thirty-five years on we have four store locations across Toronto. 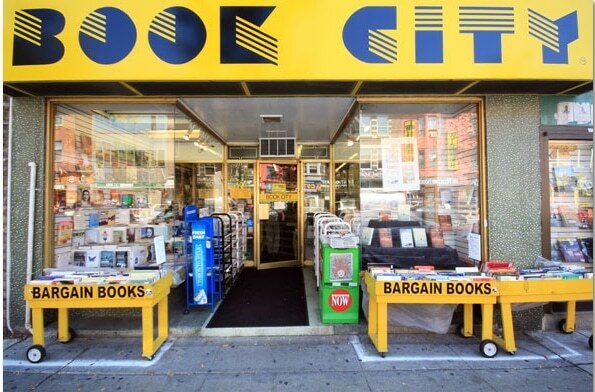 Book City was founded and is still operated by a family that goes back four generations in the book business. Perhaps this is why we at Book City stick to a more traditional method of book selling. We jam our bookcases full of new and backlist titles, pack our tables high with bargains, and staff our stores with people who love reading as much as our customers do.